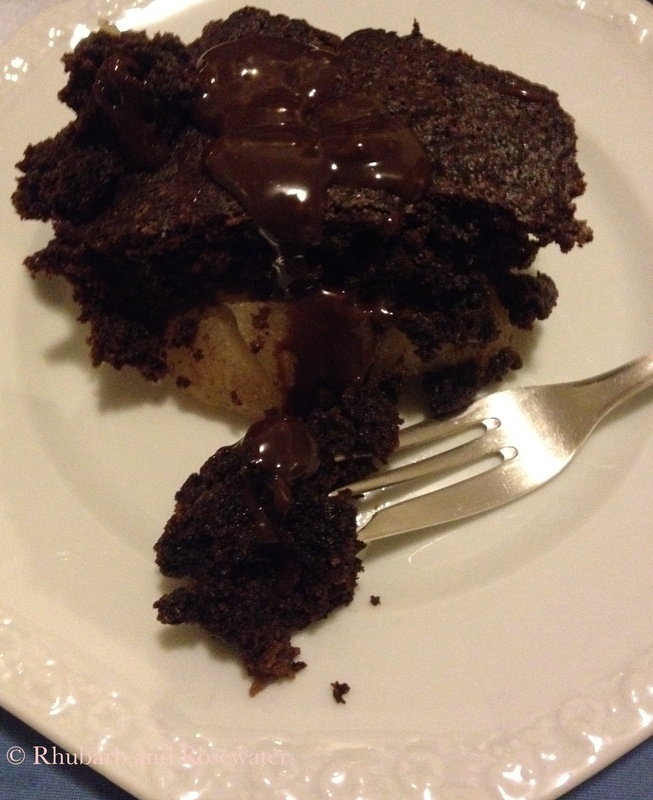 Okay, the chocolate pear pudding does not look very pretty, however, it tastes INCREDIBLY good! Most of the ingredients for it should be already in your pantry. It is fast and easy to make and if you put it into the oven right before you sit down for dinner, than it’ll be ready when it’s time for dessert! It’s a recipe by Nigella Lawson and featured on her website (http://www.nigella.com/recipes/view/chocolate-pear-pudding-102) and the recipe is, I have to say it, perfect! It is really rare that I don’t change anything in recipes or don’t feel the need to make my own version of something. But this here is pure chocolate perfection, no changes need to be made! 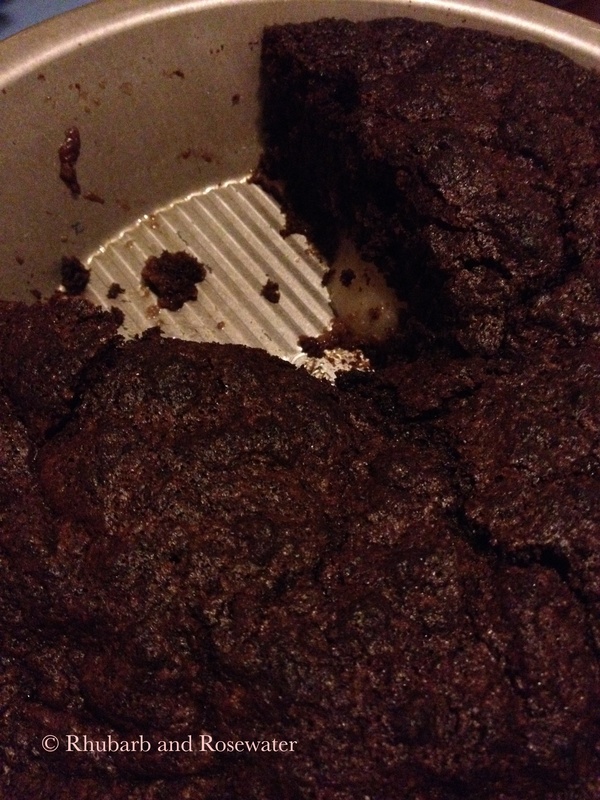 I served it with a chocolate sauce with a little bit of rum, which was the perfect addition! 1.) Preheat the oven to 200°C/400ºF and grease a 22cm/8½ inch square ovenproof dish with butter. 2.) Drain the pears and arrange them on the base of the dish. 3.) 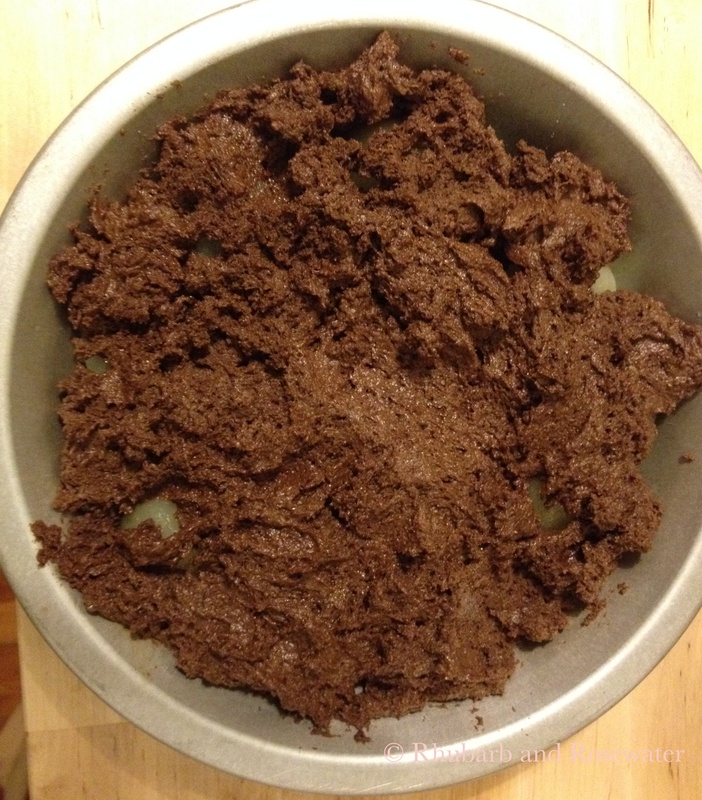 Mix all remaining ingredients in a bowl or put them in a food processor until you have a batter with a soft dropping consistency. 4.) 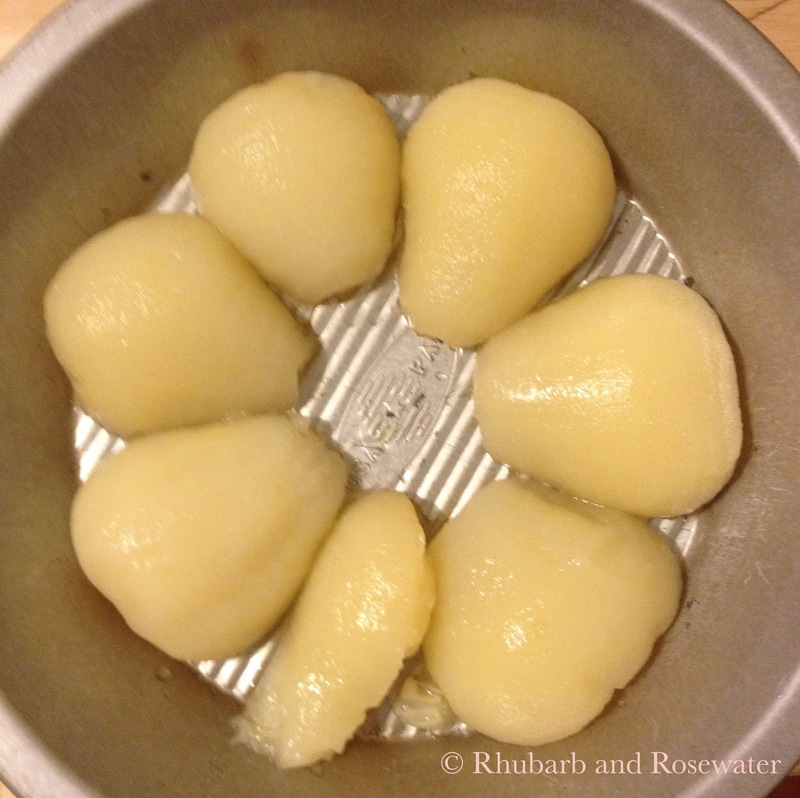 Spread the brown batter over the pears, and bake in the oven for 30 minutes. 5.) Let stand out of the oven for 5 or 10 minutes and then cut into slabs – I cut 2 down and 2 across to make 9 slices – and serve with chocolate sauce. For my chocolate sauce I chopped chocolate into small pieces and heated them up in a water bath. Into the melted chocolate I stirred some cream and a little bit of rum. Sorry, I did not really take any measurements, but it also really depends on your taste, on how thick and how intense you would like your chocolate sauce to be. So unhealthy but yummy! Typical Nigella! That sounds delicious. I will need to give it a try. This looks so good! But my jeans dont button so I should not be drooling all over my keyboard right now! !